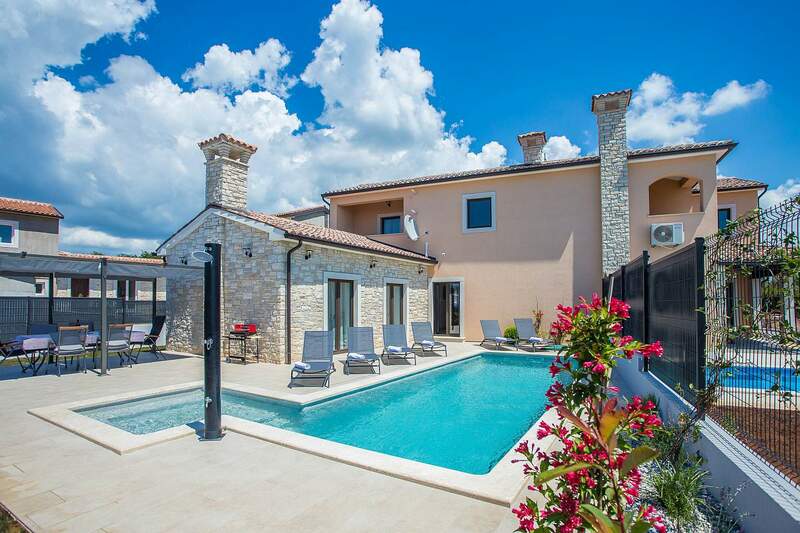 Villa HD is a beautiful holiday home with pool on the outskirts of Kastelir on the west coast of Istria. 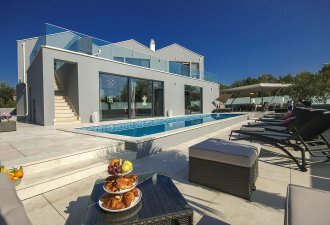 From the enclosed property there is a beautiful panoramic view of the sea and Kastelir and the guests have a swimming pool, covered terrace with dining table, barbecue and two parking spaces on their disposal. Thanks to the good location, shops and restaurants are within 2-3 minutes’ drive. Holiday home of 130 sqm on two air-conditioned floors. On the ground floor there is a pleasant living room, equipped kitchen with dining room, a double bedroom and a shower/toilet. On the first floor are two double bedrooms and a shower/toilet.